PARIS -- Renault said fraud investigators had inspected three of its sites in an emissions probe, raising the specter of a Volkswagen-type scandal and sending its shares down as much as 23 percent. Renault is cooperating fully with the investigation, the company said in a statement today. 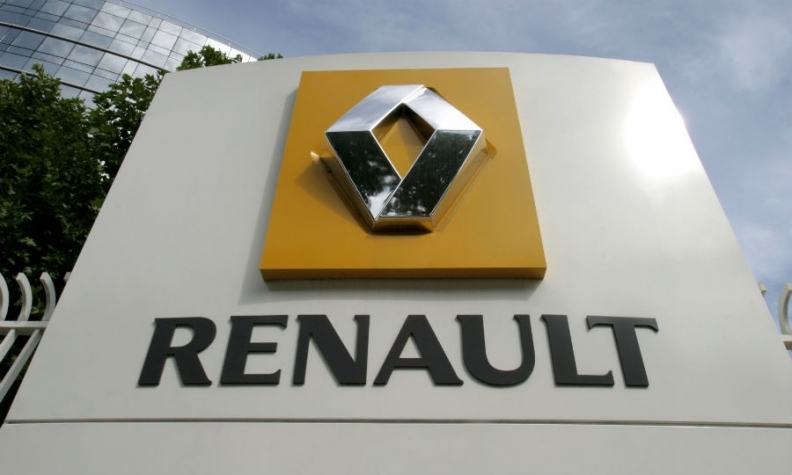 Agents from the Economy Ministry’s fraud office last week visited Renault’s headquarters as well as sites in Guyancourt and Lardy near Paris, the company said. Renault said investigations to date had found "no evidence of a defeat device" equipping the company's vehicles. France's Energy minister Segolene Royal said tests conducted on Renault cars had not shown any presence of fraudulent emissions-concealing software. "Shareholders and employees should be reassured," she told reporters, adding that defeat-device software had been found only on VW cars and no other brands. However, preliminary results from the tests also showed that emissions exceeded limits on vehicles made by Renault and by some foreign carmakers, Royal said. Authorities have visited several automakers, and there is no specific stigma attached to Renault, Economy Minister Emmanuel Macron said at an event in Berlin. The Renault case is in no way comparable to that of VW, said Macron, who declined to name the other automakers that were visited. The French state is the biggest shareholder in Renault, with a 19.7 percent stake. Automakers have been under increased scrutiny since September, when U.S. regulators said Volkswagen cheated for years to make its diesel cars appear cleaner burning than they are. The rigged engines were installed in 11 million vehicles worldwide. As part of the backlash, French authorities started a probe in September into whether VW deceived customers about the emissions levels of its diesel cars and promised to expand the investigation to cover all automakers. Separately, the country’s environmental regulator began randomly testing vehicles to check differences between lab results and real-world emissions. Four Renault models had been tested by the end of last month, part of the effort to screen as many as 100 cars -- including 25 from Renault. Officials overseeing the effort have signaled that additional tests under way probably will not uncover the presence of a "defeat device" in Renault’s vehicles, the company said in its statement. "Management has not confirmed that it is about NOx emissions, but given the sectors that were inspected we think that it could be linked," CGT union official Florent Grimaldi said. Investigators seized computers from Renault, he said. The facility in Lardy is Renault’s main site in France for engine development. "For several months, work has been ongoing on emission tests at the Lardy site and the departments that were raided were those of certification and adjustment of engine control systems," Grimaldi said. "We have been asking for more resources for months at Lardy to work on pollution control." Diesel engines are crucial for the French automakers Renault and PSA -- at the time the VW scandal broke, the technology accounted for at least 60 percent of their European sales. PSA today said emission tests carried out by the Energy Ministry on its cars showed no anomalies and that it had not been subject to searches by fraud investigators. "The test results were passed on to us and the showed an absence of anomalies," a PSA statement said. PSA said in October it never used a "defeat" software to turn on emissions controls only while being tested, as Volkswagen admitted to doing. Daimler said diesel engines that Renault supplies for its Mercedes-Benz brand do not contain defeat devices. "We have no reason to budge from our previous statements. We do not use defeat devices. Renault has assured us that it also doesn't," a Daimler spokesman said. Renault dropped 7.7 percent to 78.97 euros at 2:28 p.m. in Paris after falling as low as 67 euros and wiping out 5.8 billion euros ($6.3 billion) in market value. PSA fell 3.6 percent. Other European automakers declined as well. Fiat Chrysler Automobiles tumbled 7.3 percent in Milan and Daimler slipped 3.2 percent in Frankfurt.